Dinosaur Comics - July 15th, 2015 - awesome fun times! 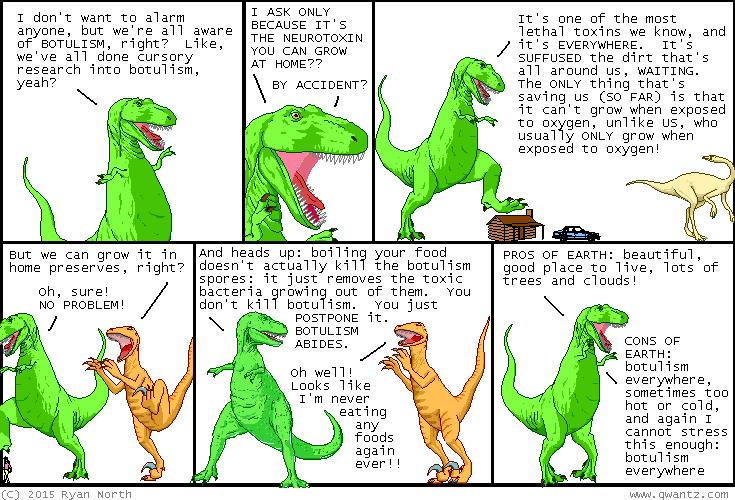 July 15th, 2015: Thanks to my dad for suggesting I look into botulism, after passing me a jar of homemade pickled beans! One year ago today: guess the national animal of the country: lions and eagles show up a lot, but zero dinosaurs? what, did the people choosing national animals somehow AVOID being age two through eight somehow? ?